Last check-in was in September, and I’ve been nowhere since then! Nowhere! However, I did pretty well taking the year as a whole, and will be packing my suitcase again in the New Year – I have some great books lined up! 54 down, 26 to go! I’ve actually read five books from my Classics Club list this quarter but have only reviewed two so far, so expect a little splurge of classics reviews in January. 35. 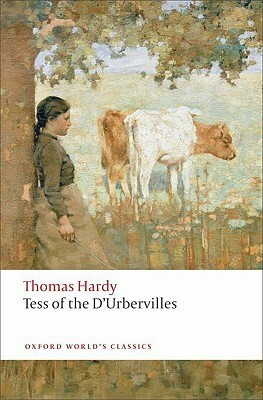 Tess of the D’Urbervilles by Thomas Hardy – 5 stars for this wonderful book that asks many questions that are still relevant in today’s world, about class, gender and how people are impacted by modernisation. 36. 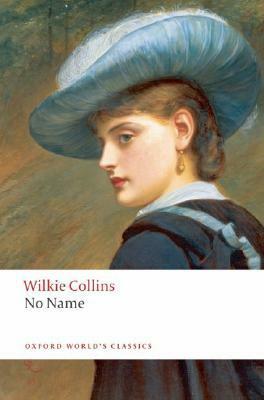 No Name by William Wilkie Collins – I’m afraid I found this book tedious, filled with unlikeable characters about whom I cared not a jot. Just 2 stars. Again, I’ve done pretty well over the year as a whole. I should be halfway through at this stage and I’m only a little behind if you add in the ones awaiting review. And I’ve been tackling some of the longer ones recently so they’re not all left till the end. 36 down, 54 to go! I’m going really slowly on this challenge, because of all the other vintage crime I’ve been lucky enough to receive for review, so I only managed a couple this quarter. To see the full challenge, click here. 21. 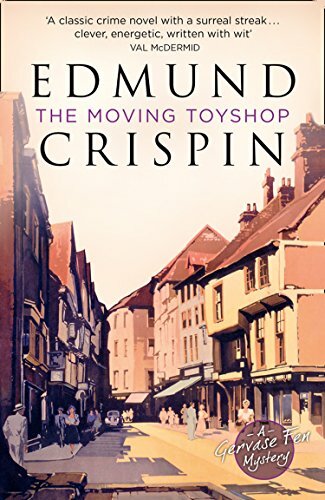 The Moving Toyshop by Edmund Crispin – this is one of those crime novels that goes way beyond the credibility line, but makes up for its general silliness by being a whole lot of fun. I loved it! 5 stars. 22. 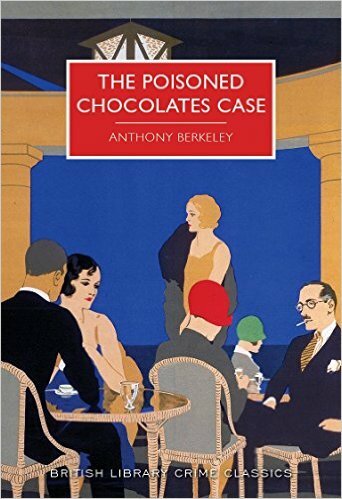 The Poisoned Chocolates Case by Anthony Berkeley – 5 stars again for this as Berkeley gently mocks the conventions of the mystery novel, and has a lot of fun at his fellow mystery writers’ expense, and his own. Highly entertaining and cleverly done! 22 down, 80 to go! Not too successful with the challenges, then, but a good quarter’s reading nevertheless! The Blurb says: The 1939 Arsenal side is firing on all cylinders and celebrating a string of victories. They appear unstoppable, but the Trojans – a side of amateurs who are on a winning streak of their own – may be about to silence the Gunners. Moments into the second half the whistle blows, but not for a goal or penalty. One of the Trojans has collapsed on the pitch. By the end of the day, he is dead. Gribble’s unique mystery, featuring the actual Arsenal squad of 1939, sends Inspector Anthony Slade into the world of professional football to investigate a case of deadly foul play on and off the pitch. The Blurb says: Two brothers meet at the remote fence line separating their cattle farms under the relenting sun of the remote outback. In an isolated part of Western Australia, they are each other’s nearest neighbour, their homes three hours’ drive apart. Courtesy of Oxford World’s Classics. Another one from my Classics Club list. I loved reading a few of Burroughs’ Barsoom Chronicles a few years back, so I’m hoping he entertains me just as much with this one. 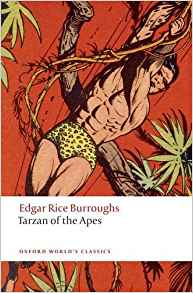 The Blurb says: A central figure in American popular culture, Tarzan first came swinging through the jungle in the pages of a pulp-fiction magazine in 1912, and subsequently appeared in the novel that went on to spawn numerous film, full-length cartoon, and theatrical adaptations. The infant Tarzan, lost on the coast of West Africa, is adopted by an ape-mother and grows up to become a model of physical strength and natural prowess, and eventually leader of his tribe. When he encounters a group of white Europeans, and rescues Jane Porter from a marauding ape, he finds love, and must choose between the values of civilization and the jungle. Jason Haslam’s engaging introduction situates the novel not only in the pulp fiction industry, but also against the backdrop of adventure stories, European exploration in Africa, and the debates over nature versus civilization. Courtesy of Collins Crime Club. I hadn’t realised this one has a Christmas theme till I popped into Goodreads to copy the blurb – must try to fit it in before Santa gets here! Mander’s Department Store in London’s West End is so famous for its elaborate window displays that on Monday mornings crowds gather to watch the window blinds being raised on a new weekly display. On this particular Monday, just a few weeks before Christmas, the onlookers quickly realise that one of the figures is in fact a human corpse, placed among the wax mannequins. Then a second body is discovered, and this striking tableau begins a baffling and complex case for Inspector Devenish of Scotland Yard. Vernon Loder’s first book The Mystery at Stowe had endeared him in 1928 as ‘one of the most promising recruits to the ranks of detective story writers’. 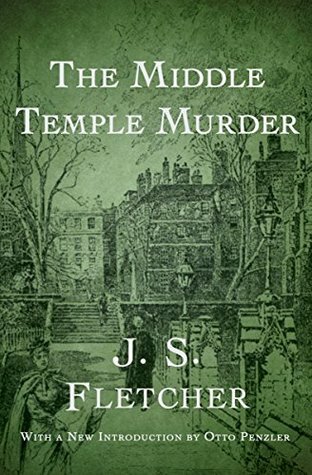 Inspired by the glamour of the legendary Selfridges store on London’s Oxford Street, The Shop Window Murders followed, an entertaining and richly plotted example of the Golden Age deductive puzzle novel, one of his best mysteries for bafflement and ingenuity. I’m going dramatically slowly on this challenge because of all the other vintage crime books that have come my way recently, but I haven’t forgotten about it completely! The Blurb says: Dr. Edmund Bickleigh married above his station. Although popular and well respected in his little Devonshire community, he seethes with resentment at the superior social status of his domineering wife, Julia. Bickleigh soothes his inferiority complex by seducing as many of the local women as he possibly can — but with the collapse of his latest fling and a fresh dose of sneering contempt from Julia, the doctor resolves to silence his wife forever and begins plotting the perfect murder. 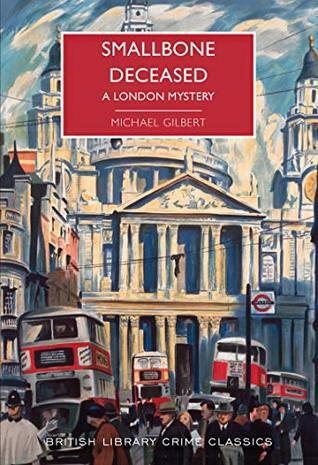 The Blurb says: The Duke of Denver, accused of murder, stands trial for his life in the House of Lords.Naturally, his brother Lord Peter Wimsey is investigating the crime – this is a family affair. The murder took place at the duke’s shooting lodge and Lord Peter’s sister was engaged to marry the dead man.But why does the duke refuse to co-operate with the investigation? Can he really be guilty, or is he covering up for someone? A detecting bishop! Take that, Father Brown! I’m expecting at least an archbishop next time… or maybe the Pope! The Blurb says: Death of an Airman is an enjoyable and unorthodox whodunit from a writer whose short life was as remarkable as that of any of his fictional creations. When an aeroplane crashes, and its pilot is killed, Edwin Marriott, the Bishop of Cootamundra in Australia, is on hand. In England on leave, the Bishop has decided to learn how to fly, but he is not convinced that the pilot’s death was accidental. In due course, naturally, he is proved right. The Bishop and Inspector Bray of Scotland Yard make an appealing pair of detectives, and ultimately a cunning criminal scheme is uncovered. 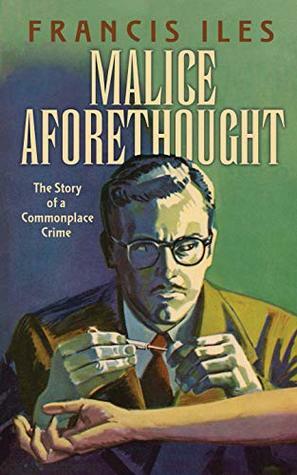 First published in 1926, C. S. Forester’s gritty psychological thriller took crime writing in a new direction, portraying ordinary, desperate people committing monstrous acts, and showing events spiralling terribly, chillingly, out of control. A dramatic fall in the TBR since I last reported – down 4 to 224! 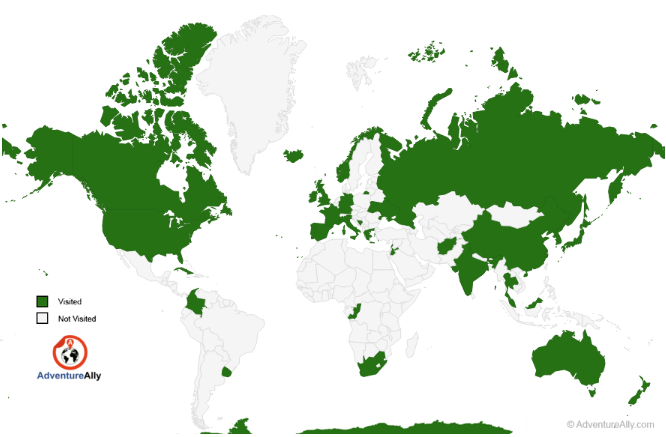 This is rather astonishing since, for non-blog related reasons, my reading has been way down over the last couple of weeks – but clearly so has my book acquiring! As you might have noticed, I’ve also been pretty lax at posting, visiting, commenting and replying to comments – apologies, and I’m hoping to get back to my normal pattern soon. Here are a few more that are due soonish, though I don’t seem to be sticking to my schedule very rigidly at the moment. What a rebel! The Blurb says: When Arthur Clennam returns to England after many years abroad, he takes a kindly interest in Amy Dorrit, his mother’s seamstress, and in the affairs of Amy’s father, William Dorrit, a man of shabby grandeur, long imprisoned for debt in Marshalsea prison. As Arthur soon discovers, the dark shadow of the prison stretches far beyond its walls to affect the lives of many, from the kindly Mr Panks, the reluctant rent-collector of Bleeding Heart Yard, and the tipsily garrulous Flora Finching, to Merdle, an unscrupulous financier, and the bureaucratic Barnacles in the Circumlocution Office. 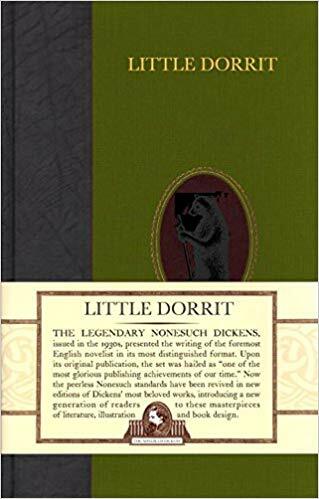 A masterly evocation of the state and psychology of imprisonment, Little Dorrit is one of the supreme works of Dickens’s maturity. The Blurb says: Welworth Garden City in the 1940s is a forward-thinking town where free spirits find a home – vegetarians, socialists, and an array of exotic religious groups. Chief among these are the Children of Osiris, led by the eccentric High Prophet, Eustace K. Mildmann. The cult is a seething hotbed of petty resentment, jealousy and dark secrets – which eventually lead to murder. The stage is set for one of Inspector Meredith’s most bizarre and exacting cases. 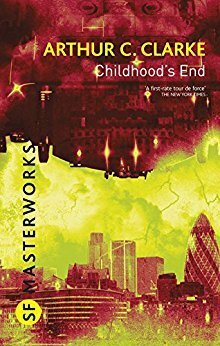 The Blurb says: The Overlords appeared suddenly over every city–intellectually, technologically, and militarily superior to humankind. Benevolent, they made few demands: unify earth, eliminate poverty, and end war. With little rebellion, humankind agreed, and a golden age began. Courtesy of the British Library. A new Christmas-themed vintage crime anthology from the BL is becoming a bit of a Christmas tradition too, happily for me, since I love them! The Blurb says: A Christmas party is punctuated by a gunshot under a policeman’s watchful eye. A jewel heist is planned amidst the glitz and glamour of Oxford Street’s Christmas shopping. Lost in a snowstorm, a man finds a motive for murder. This collection of mysteries explores the darker side of the festive season from unexplained disturbances in the fresh snow, to the darkness that lurks beneath the sparkling decorations. With neglected stories by John Bude and E. C. R. Lorac, as well as tales by little-known writers of crime fiction, Martin Edwards blends the cosy atmosphere of the fireside story with a chill to match the temperature outside. This is a gripping seasonal collection sure to delight mystery fans. The Blurb says: Tom Docherty was 17 in the summer of 1955. With school behind him and a summer job at a brick works, Tom had his whole life before him. Years later, alone in a rented flat in Edinburgh and lost in memories, Tom recalls the intellectual and sexual awakening of his youth. In looking back, Tom discovers that only by understanding where he comes from can he make sense of his life as it is now. The Blurb says: Twenty-four years ago Katharina Haugen went missing. All she left behind was her husband Martin and a mysterious string of numbers scribbled on a piece of paper. Every year on October 9th Chief Inspector William Wisting takes out the files to the case he was never able to solve. Stares at the code he was never able to crack. And visits the husband he was never able to help. But now Martin Haugen is missing too. As Wisting prepares to investigate another missing persons case he’s visited by a detective from Oslo. Adrian Stiller is convinced Martin’s involved in another disappearance of a young woman and asks Wisting to close the net around Martin. But is Wisting playing cat and mouse with a dangerous killer or a grief-stricken husband who cannot lay the past to rest? The Blurb says: John Wilkins meets a beautiful, irresistible girl, and his world is turned upside down. 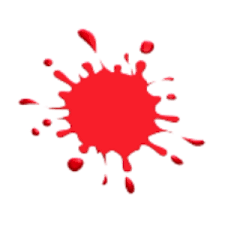 Looking at his wife, and thinking of the girl, everything turns red before his eyes – the colour of murder. The Blurb says: From the bestselling author of Rebecca, another classic set in beautiful and mysterious Cornwall. Orphaned at an early age, Philip Ashley is raised by his benevolent older cousin, Ambrose. Resolutely single, Ambrose delights in Philip as his heir, a man who will love his grand home as much as he does himself. But the cosy world the two construct is shattered when Ambrose sets off on a trip to Florence. There he falls in love and marries – and there he dies suddenly. In almost no time at all, the new widow – Philip’s cousin Rachel – turns up in England. Despite himself, Philip is drawn to this beautiful, sophisticated, mysterious woman like a moth to the flame. And yet… might she have had a hand in Ambrose’s death? Well, considering how many books have arrived in my house over the last week, I’m astonished to report that the TBR has only gone up by 2 – to 228! Clearly I must be getting through them as fast as a champion swimmer just about to take Olympic gold – what could possibly go wrong? 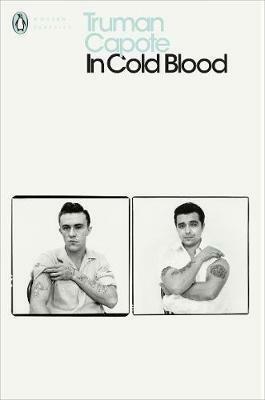 The Blurb says: The chilling true crime ‘non-fiction novel’ that made Truman Capote’s name, In Cold Blood is a seminal work of modern prose, a remarkable synthesis of journalistic skill and powerfully evocative narrative published in Penguin Modern Classics. ‘It is the American dream turning into the American nightmare … By juxtaposing and dovetailing the lives and values of the Clutters and those of the killers, Capote produces a stark image of the deep doubleness of American life … a remarkable book’ Spectator. The Blurb says: London. 1945. The capital is shrouded in the darkness of the blackout, and mystery abounds in the parks after dusk. Courtesy of Penguin Viking via NetGalley. Although he can be variable, I love William Boyd and each new book is a special pleasure. This one is being very positively reviewed so far, and the setting – Edinburgh, Paris, pre-Revolutionary St Petersburg – almost makes it seem as if he’s written it specially for me. Hmm… my expectations are pretty stratospheric… can it possibly live up to them?? The Blurb says: This is William Boyd’s sweeping, heart-stopping new novel. Set at the end of the 19th century, it follows the fortunes of Brodie Moncur, a young Scottish musician, about to embark on the story of his life. The Blurb says: Robert William Chambers’ The King in Yellow (1895) has long been recognised as a landmark work in the ﬁeld of the macabre, and has been described as the most important work of American supernatural fiction between Poe and the moderns. Despite the book’s success, its author was to return only rarely to the genre during the remainder of a writing career which spanned four decades. Courtesy of the British Library. From the look of this book, it’s the kind of thing that would be great as a stocking filler or little extra gift for a book lover. Sounds like fun – part 1! The Blurb says: Books: reading, collecting, and the physical housing of them has brought the book-lover joy and stress for centuries. Fascinated writers have tried to capture the particular relationships we form with our library, and the desperate troubles we will undergo to preserve it. With Alex Johnson as your guide, immerse yourself in this eclectic anthology and hear from an iconic Prime Minister musing over the best way to store your books and an illustrious US President explaining the best works to read outdoors. Enjoy serious speculations on the psychological implications of reading from a 19th century philosopher, and less serious ones concerning the predicament of dispensing with unwanted volumes or the danger of letting children (the enemies of books) near your collection. The many facets of book-mania are pondered and celebrated with both sincerity and irreverence in this lively selection of essays, poems, lectures, and commentaries ranging from the 16th to the 20th century. Also from the British Library, this delicious little companion to their Crime Classics series looks fiendishly entertaining! Sounds like fun – part 2! The Blurb says: Polish off your magnifying glass and step into the shoes of your favourite detectives as you unlock tantalising clues and solve intricate puzzles. 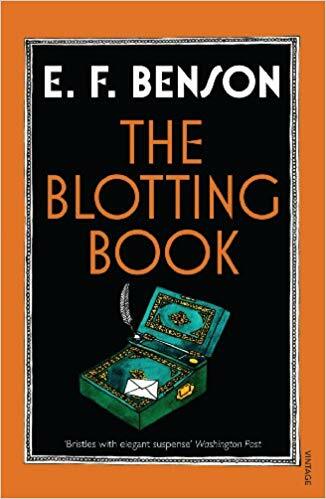 There are over 100 criminally teasing challenges to be scrutinised, including word searches, anagrams, snapshot covers, and crosswords a favourite puzzle of crime fictions golden age. Suitable for all ages and levels, this is the ultimate test for fans of the British Library Crime Classics series. For six years, the British Library have brought neglected crime fiction writers into the spotlight in a series of republished novels and anthologies. 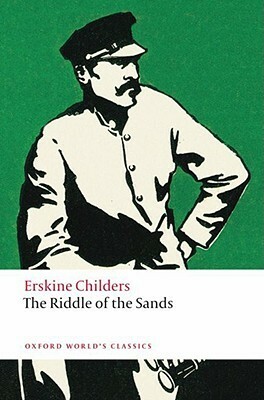 There are now more than 50 British Library Crime Classics titles to collect. The Blurb says: Song of Solomon is a work of outstanding beauty and power, whose story covers the years from the 1930’s to the 1960’s in America. At its centre is Macon Dead Jr, the son of a wealthy black property owner, who has been brought up to revere the white world. Macon learns about the tyranny of white society from his friend Guitar, though he is more concerned to escape the tyranny of his father. So while Guitar joins a terrorist group of poor blacks, Macon goes home to the South, lured by tales of buried family treasure. His journey leads to the discovery of something more valuable than gold, his past. Yet the truth about his origins and his true self is not fully revealed to Macon until he and Guitar meet once again in powerful, and deadly confrontation. Ebenezer Scrooge is a bad-tempered skinflint who hates Christmas and all it stands for, but a ghostly visitor foretells three apparitions who will thaw Scrooge’s frozen heart. A Christmas Carol has gripped the public imagination since it was first published in 1843, and it is now as much a part of Christmas as mistletoe or plum pudding. This edition reprints the story alongside Dickens’s four other Christmas Books: The Chimes, The Cricket on the Hearth, The Battle of Life, and The Haunted Man. All five stories show Dickens at his unpredictable best, jumbling together comedy and melodrama, genial romance and urgent social satire, in pursuit of his aim ‘to awaken some loving and forbearing thoughts, never out of season in a Christian land’. The Blurb says: One of the most extraordinary, and prolific writing families of the last one hundred years must be the Bensons. All three brothers wrote ghost stories, and Fred Benson is acknowledged as one of the finest writers of supernatural fiction of this century, whose name is mentioned in the same breath as such other greats as M.R. James and H.R. Wakefield. However, for many years his success in the genre has overshadowed the work that Arthur and Hugh did in the field of the supernatural story; and their weird tales, long out of print and difficult to find, were known to only a few enthusiasts. Now, for the first time, the best supernatural tales of A.C. and R.H. Benson have been gathered together into one volume. Hugh Lamb, whose ground-breaking anthologies of the 1970s were largely responsible for their re-discovery, has collected nineteen of the best stories by both writers, including A.C. Benson’s masterful tales ‘Basil Netherby’ and ‘The Uttermost Farthing’. Also included is a rare 1913 article, ‘Haunted Houses’, by R.H. Benson, reprinted here for the first time, and an Introduction which examines the lives and writings of these two complex and fascinating men. The Blurb says: Lighthouses are striking totems of our relationship to the sea. For many, they encapsulate a romantic vision of solitary homes amongst the waves, but their original purpose was much more utilitarian than that. Today we still depend upon their guiding lights for the safe passage of ships. Nowhere is this truer than in the rock lighthouses of Great Britain and Ireland which form a ring of twenty towers built between 1811 and 1904, so-called because they were constructed on desolate rock formations in the middle of the sea, and made of granite to withstand the power of its waves. Seashaken Houses is a lyrical exploration of these singular towers, the people who risked their lives building and rebuilding them, those that inhabited their circular rooms, and the ways in which we value emblems of our history in a changing world. The Blurb says: Two novellas from one of the most exciting writers in contemporary Russia. Horsemen of the Sands gathers two novellas by Leonid Yuzefovich: “Horsemen of the Sands” and “The Storm”. The former tells the true story of R.F. Ungern-Shternberg, also known as the “Mad Baltic Baron”, a military adventurer whose intense fascination with the East drove him to seize control of Mongolia during the chaos of the Russian Civil War. “The Storm” centers on an unexpected emotional crisis that grips a Russian elementary school on an otherwise regular day, unveiling the vexed emotional bonds and shared history that knit together its community of students, teachers, parents, and staff. By day Ernest Bisham is a velvet-voiced announcer for the BBC; the whole country recognises the sound of his meticulous pronouncements. By night, however, Mr Bisham is a cat-burglar, careless about his loot, but revelling in the danger and excitement of his running contest with Scotland Yard. But as he gets away with more and more daring escapades, there will come a time when he goes too far . . . When Donald Henderson’s Mr Bowling Buys a Newspaper caused something of a sensation, his publishers were keen to capitalise on their author’s popularity, quickly reissuing The Announcer (originally published under his pen-name ‘D. H. Landels’) with the more alluring title A Voice Like Velvet. Despite a small edition of just 3,000 copies, it was his best reviewed work, as suspenseful and offbeat as his earlier success. This Detective Club classic includes an introduction by The Golden Age of Murder’s Martin Edwards, who explores Henderson’s own BBC career and the long established tradition of books about gentlemen crooks. 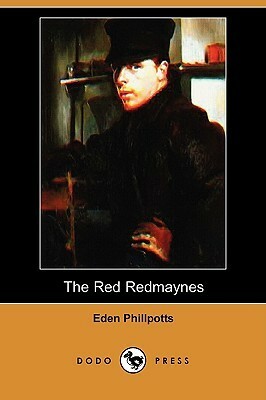 The book also includes a rare Henderson short story, the chilling ‘The Alarm Bell’. The Blurb says: A collection of the finest supernatural tales by two of the best Victorian writers of weird tales – Erckmann–Chatrian, authors who inspired M. R. James, H. P. Lovecraft, and many others. I had already typed this post yesterday, boasting about how I hadn’t had an increase in the TBR for five weeks. Then the postman knocked the door. So… up five to 232!! Here’s what’s rolling down the TBR tracks soon… a brilliant selection this week, I think! The Blurb says: Summer, 1549. Two years after the death of Henry VIII, England is sliding into chaos . . . Since the old King’s death, Matthew Shardlake has been working as a lawyer in the service of Henry’s younger daughter, the Lady Elizabeth. The gruesome murder of the wife of a distant Norfolk relation of Elizabeth’s mother, John Boleyn – which could have political implications for Elizabeth – brings Shardlake and his assistant Nicholas Overton to the summer assizes at Norwich. There they are reunited with Shardlake’s former assistant Jack Barak. The three find layers of mystery and danger surrounding the death of Edith Boleyn, as a second murder is committed. And then East Anglia explodes, as peasant rebellion breaks out across the country. The yeoman Robert Kett leads a force of thousands in overthrowing the landlords and establishing a vast camp outside Norwich. Soon the rebels have taken over the city, England’s second largest . . . The Blurb says: A young, inexperienced governess is charged with the care of Miles and Flora, two small children abandoned by their uncle at his grand country house. She sees the figure of an unknown man on the tower and his face at the window. It is Peter Quint, the master’s dissolute valet, and he has come for little Miles. But Peter Quint is dead. Like the other tales collected here – ‘Sir Edmund Orme’, ‘Owen Wingrave’, and ‘The Friends of the Friends’ – ‘The Turn of the Screw’ is to all immediate appearances a ghost story. But are the appearances what they seem? Is what appears to the governess a ghost or a hallucination? Who else sees what she sees? The reader may wonder whether the children are victims of corruption from beyond the grave, or victims of the governess’s ‘infernal imagination’, which torments but also enthrals her? ‘The Turn of the Screw’ is probably the most famous, certainly the most eerily equivocal, of all ghostly tales. Is it a subtle, self-conscious exploration of the haunted house of Victorian culture, filled with echoes of sexual and social unease? Or is it simply, ‘the most hopelessly evil story that we have ever read’? The Blurb says: At the heart of this vibrant saga is a vast ship, the Ibis. Her destiny is a tumultuous voyage across the Indian Ocean shortly before the outbreak of the Opium Wars in China. In a time of colonial upheaval, fate has thrown together a diverse cast of Indians and Westerners on board, from a bankrupt raja to a widowed tribeswoman, from a mulatto American freedman to a free-spirited French orphan. As their old family ties are washed away, they, like their historical counterparts, come to view themselves as jahaj-bhais, or ship-brothers. The vast sweep of this historical adventure spans the lush poppy fields of the Ganges, the rolling high seas, and the exotic backstreets of Canton. Courtesy of Quercus via NetGalley. A Gothic thriller from Elly Griffiths! I shall quietly ignore the hideous Gone Girl/Disclaimer reference in the blurb – do publishers really want to put people off?? Well, they’ve failed – I’m super-excited about this one! The Blurb says: A gripping contemporary Gothic thriller from the bestselling author of the Dr Ruth Galloway mysteries: Wilkie Collins and MR James meet Gone Girl and Disclaimer.